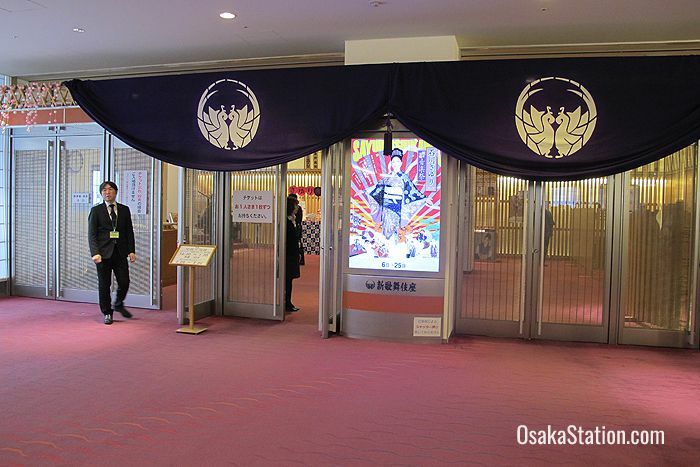 Osaka Shin-Kabukiza is a theater located on the 6th floor of the Yufura shopping complex in the Uehommachi district of Osaka. Although this theater has “kabuki” in its name, classical kabuki drama is rarely if ever performed here. Most of the shows here are Japanese historical dramas, comedies, and enka style musical concerts. If you want to see kabuki, you should go to the Shochikuza Theater in the Dotombori district. The reason why the Shin-Kabukiza doesn’t actually show kabuki drama is wrapped up in the circumstances of its history. This theater is actually the second “Shin-Kabukiza” in Osaka and the third theater to have “Kabukiza” in its title. 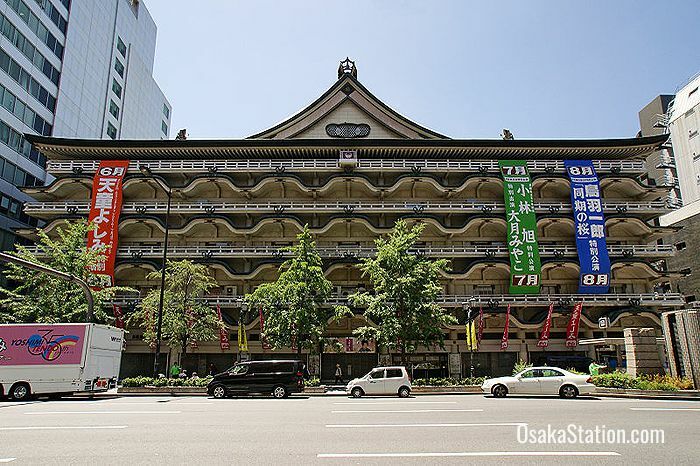 The very first Osaka Kabukiza opened in 1932 in the nearby Namba district. This theater, true to its name, was dedicated to performances of classical kabuki drama. It was a striking modernist building and with a theater that could seat 3,000 it was very large. However, in the post-war years kabuki became less popular and dwindling ticket sales made it harder to maintain such a large building. It was decided to relocate to a new and smaller venue. In 1958 the old theater closed and the new theater called “Shin-Kabukiza” or “New Kabukiza” was opened. The first “Shin-Kabukiza” was also located in Namba and in appearance it was a more traditional structure than the previous building with seating for 1,638. However, not too long after it opened the operating company began looking for ways to increase ticket sales and decided to show more modern musical dramas featuring popular movie stars and singers. These proved more profitable than traditional kabuki and soon took over the schedule completely. This theater was a popular venue in Namba for 50 years, but by 2007 the building had noticeably aged and deteriorated. Once again it was decided to close and relocate to a new location. Meanwhile in nearby Uehommachi another theater called Kintetsu Gekijo had also closed in 2004. 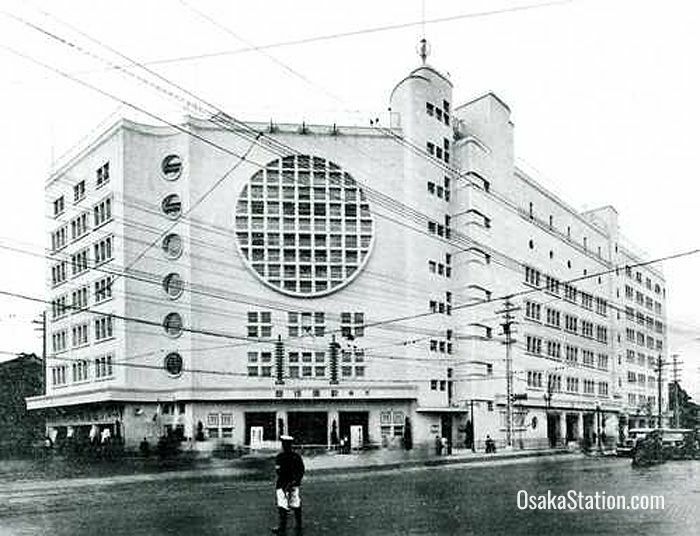 Kintetsu Corporation were planning a new shopping complex on the site and it was decided to incorporate the new Shin-Kabukiza into the building. The new Shin-Kabukiza in Uehommachi Yufura shopping center opened in 2010. Osaka Shin-Kabukiza has an audience capacity of 1,453 with seating on three levels. In the theater lobby there is a souvenir stand and a counter where you can order bento lunch boxes for the intermission. Immediately below the theater on the 5th floor of Yufura there are also eight restaurants and cafes where you can enjoy sushi, noodles, seafood, tonkatsu pork cutlets, and pasta. The theater schedule is mostly made up of period dramas, comedies, and concerts of enka style sentimental ballads. Sometimes however, there are concerts featuring minyo folk songs, traditional wadaiko drums, and shamisen three stringed instruments. As the dramas and comedies are exclusively in Japanese they are probably not of interest to most overseas visitors. 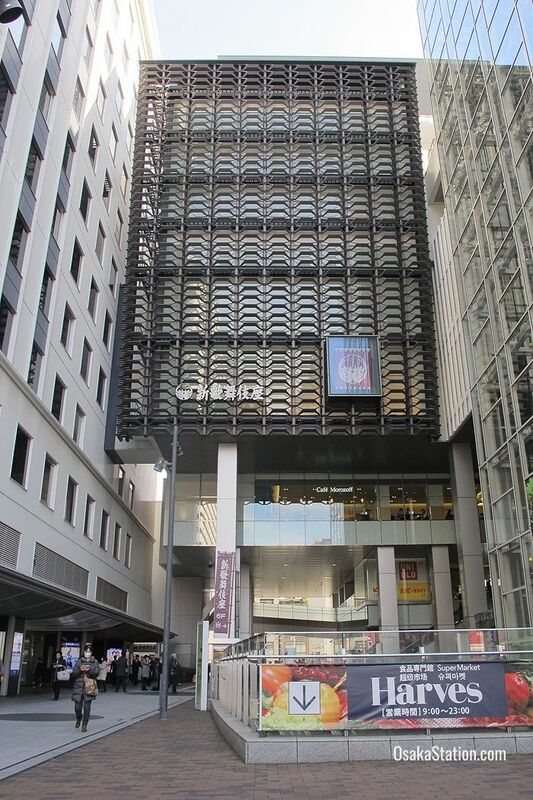 Apart from the 6th floor theater and 5th floor restaurants, Yufura is a typical Japanese shopping complex with four floors of ladies’ and men’s fashions and standard retailers such as Uniqlo, Muji and ABC shoes. There is also a supermarket and Subway sandwich bar in the basement. The Yufura shopping complex is directly outside the south exit of Osaka-Uehommachi Station. Here is a map of the location.